Traditional or Whimsical - It's All Up to You! Check off those hard to buy for people from your list with a gift to truly touch their heart. You create a list of memories that are meaningful and we will translate them into creative, fun and personalized art. Be creative and have fun! 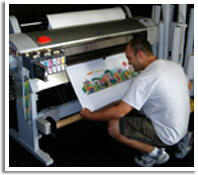 All art is printed using museum quality inks and papers and double matted. Framing is optional (but most order their art framed). UPS Ground Shipping in the continental United States is included. (Overnight and 2nd Day Air is available). All Christmas prints will include a Christmas tree and wreath on the print. Order no later than December 1 to receive in time for Christmas! View Christmas Gift pricing and ordering details. Take a look at some of the personalized Christmas gifts we've created for others! "A Stroll Down Your Memory Lane" is an example caption for this Christmas art print. The caption is optional, but will convey more meaning for the image. Example shown is a 5-Building Street. All Christmas prints will include a Christmas tree and wreath on the art. This is an 8-Building Example. All Christmas prints will include a Christmas tree and wreath on the print. 2-Building and 3-Building street sizes are also available. Choose by budget, style, or by the amount of information you need to symbolize. Our 3-Building Street is a popular holiday gift choice. Look through our sample pages to see how this print has been used for celebrating various holidays and gift-giving occasions. *PRICE INCLUDES SHIPPING! (UPS ground shipping to Continental USA) Our current production schedule is posted above the product pictures. CLICK HERE to view and print a list of example questions that may inspire you. Click on product tabs above to compare products or use the helpful links below. CLICK HERE to see examples of art prints we've created for various occasions. If you are having any trouble downloading, opening, or printing these documents please call Cully McLean at 770-745-7225. Need to display more moments & memories than this street can display? Take a look at our 5-Building Street and 8-Building Street. 5-Building Street art print, 10" x 20"
Our 5-Building Street is the most popular holiday and all-occasion choice. Look through our sample pages to see how this print has been used for celebrating various holidays and gift-giving occasions. Need to display more moments & memories than this street can display? Take a look at our 8-Building Street. 8-Building Memory Lane art print, 14-1/2" x 27-3/8"
Our 8-Building Street is the largest of our street prints and great for holidays or any occasion. Look through our sample pages to see how this print has been used for celebrating holidays and gift-giving occasions. Need to display more moments & memories? Call Cully McLean at 770-745-7225 to order a custom street. 2-Building Street personalized art print, 10" x 20"
With our 2-Building Street you choose two appropriate backgrounds. A visual digest that's perfect for everyone on your gift list. Need to display more moments & memories than this street can display? Take a look at our 3-Building Street, 5-Building Street, and 8-Building Street.